There are lots of ways to see the world, from luxury cruise ships to dusty mule trains to high altitude treks accompanied by sherpas. For our family, travel has become as much about the journey as it is about the destination, which is why we love cycling. Riding a bicycle as a primary mode of transportation has many benefits to the traveler. It forces you to slow down and savor the landscape in ways that are difficult by train or by car. It forces travelers to interact with locals daily and creates a deeper, more authentic cultural experience than riding a tour bus. Ecologically speaking, it’s a low impact way to see the world, reducing your carbon footprint, one pedal push at a time while improving your health and supporting the concept of green travel. For the first time cycle-tourist, Europe is the perfect destination. 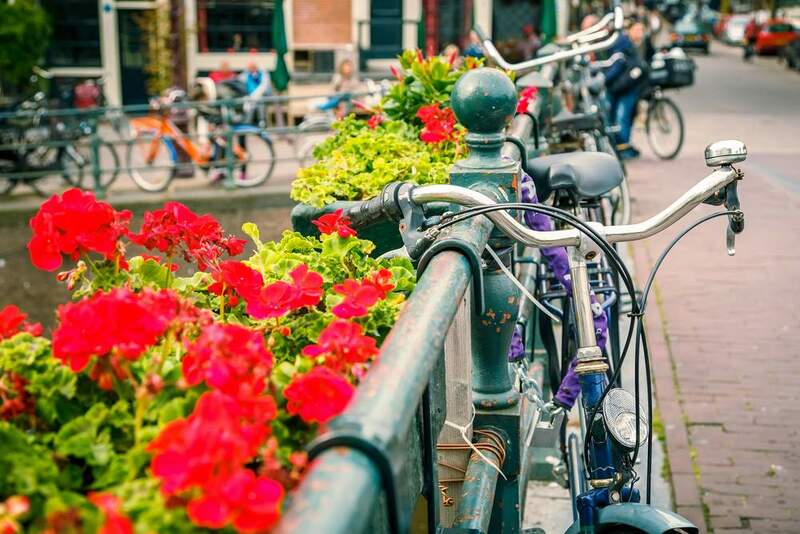 For many Europeans, cycling is not just a sport, it’s a mode of daily transportation and most countries are set up with excellent bike paths and drivers expect to see cyclists on the road. The Eurovelo routes, which crisscross the continent, make it easy to move between the EU countries on safe routes with minimal gradient changes. The short distances between many of the towns in European countries means that you’ll never go long without a place to stop and rest or re-provision. There are an abundance of camping possibilities as well as the ever-present guest houses and youth hostels scattered across the continent. The relatively small size of European countries makes it possible to cover a lot of cultural ground in few square kilometers, which is especially rewarding by bike. Finally, Europe is an especially great place for cyclists of all ages. We did it with four kids, 5-11 at the time, and we ran into a man in Wittenberg, Germany who was 83 and cycling for three months on a self-supported tour, meaning he was carrying all his own gear, alone, having a blast. Regardless of age or ability, Europe is amazing by bike! We started our year long cycle tour in London, UK in April. Our rationale being that it would minimize culture shock for the kids and let us get our feet on the ground in our own language. Dumb, dumb, dumb. What does it do in England in April? Rain. And rain it did, for the entire month we slogged the length of the country. Add to that the difficulty of putting bikes on trains in the UK (only two per train, max, and no trailers whatsoever on most routes) and we were stuck. It’s a beautiful country, but we were wet and a little miserable. The Netherlands, on the other hand, is a cycling fairytale: cycleways better than the auto roads, and it’s as flat as a chessboard. One hint: cycle in the direction the wind is blowing! We’ve decided that when we’re old and have had our knee replacement surgeries we’ll go to the Netherlands, buy some sweet electric assist bikes and cycle the flatlands to our heart’s content! The radwegs (cycle paths) in Germany are like everything else in that beautiful country: well-signed, well-organized and well-maintained. When it comes to transporting your bikes by train, Germany makes it easier than other European countries. As long as you don’t make anyone late, they love cyclists. Our favorite routes in the country were along the Rhine River Valley (be sure to roll your bike onto a river boat and float downstream awhile as well) and the long sloping ride along the Elbe River, which is renamed the Labe after it flows into the Czech Republic, downstream from Dresden. 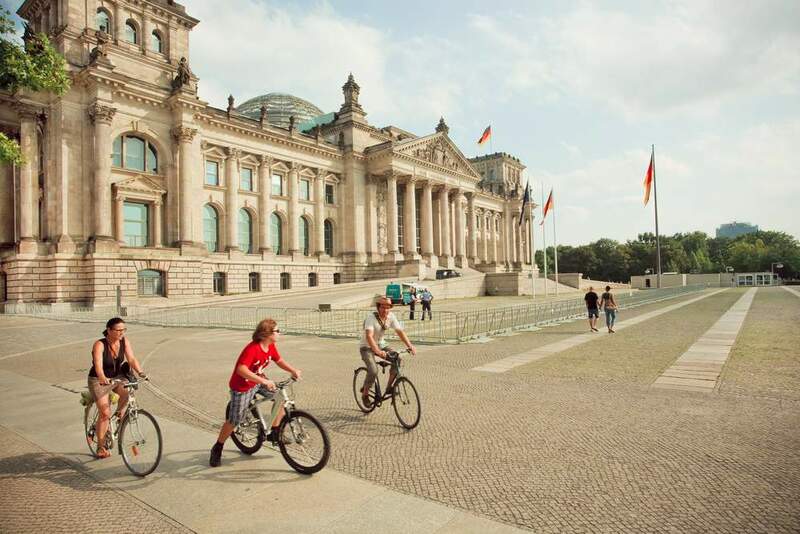 Three cities that are surprisingly cycle friendly are Paris, Vienna, and Berlin. Even if you’re flying into one of these cities for a week’s vacation, consider renting a bike and tooling around town. You’ll save a ton on cab fare and you’ll be able to hop on and off at every quaint cafe to sip coffee or enjoy a crepe! In each of these cities, you can rent bikes for a couple of Euros an hour, picking up and dropping off at any of the kiosks across the city. One city that’s not too cycle friendly: Prague. Between the cobbled streets, the labyrinthine downtown area and the language barrier that makes the Slavic languages so difficult, Prague was a challenge, especially with four little kids. Eastern Europe, in general, is far behind Western Europe in their development of cycle-friendly roadways, which is to be expected. The bus system in Prague, however, is excellent. One place you cannot take your bicycle: Venice, Italy. Bicycles are not allowed in the city, proper, and even if they were it would be a nightmare. The walking paths through and around the canals are narrow, cobbled and interrupted regularly by bridges of many steps up, and then down. Leave your cycles at the campground in Maestre and take a bus into the city. Be sure you ride a gondola, it’s totally worth the money. There’s much to consider concerning gear when preparing for a big cycle adventure. The most basic concern is whether or not to gear up at home or once you arrive. Weigh the pros and cons. In general, adventure gear, including cycle gear, is cheaper in North America than in Europe, especially when you figure in the exchange rate. Flying your own bike and gear is very doable. Be sure to call your airline and get all of the details on how to pack your bike and what they do and don’t accept. This minimizes problems at the airport. Expect to have to transfer your own bike between planes and through customs. Make note of the airline policies regarding camping gear, especially fuel canisters, as you may have to mail these ahead, as we did. It will cost you at least a hundred bucks per bike to fly your own cycle over and then there’s the inconvenience of disassembling it, packing it and reassembling it on the other end. We know one couple who flew their very expensive touring bikes to South Africa and had one lost in transit for several weeks. 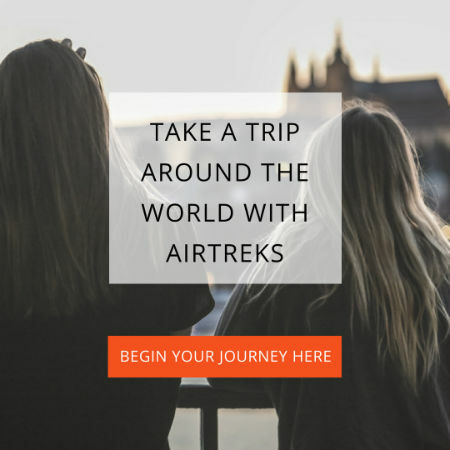 You can definitely purchase everything you need, including bike, panniers, camping gear, and the works anywhere you choose to fly into Europe. 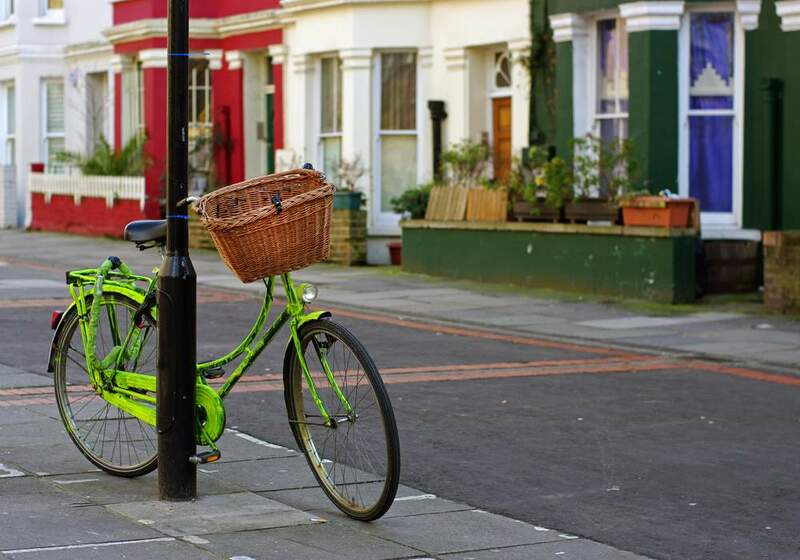 Just do your homework and make sure your budget can handle it, plan for a week in a hostel to do your shopping, have your bike fitted and gear up. 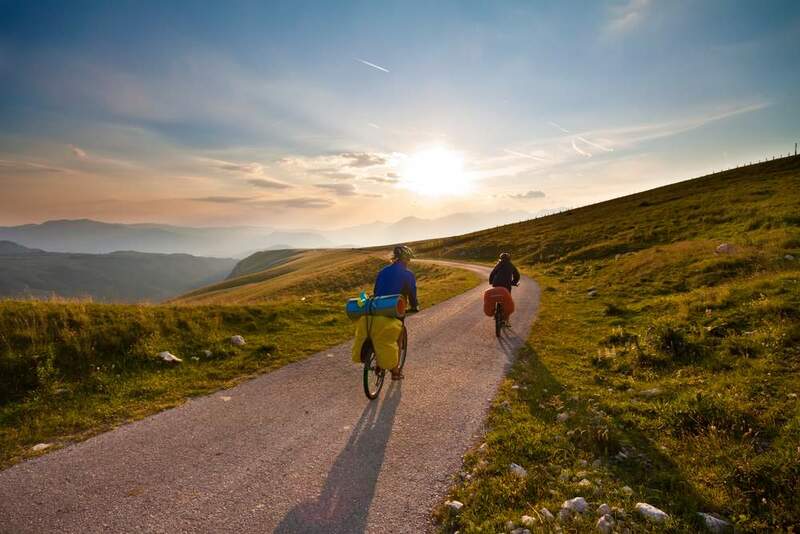 Another great option is to avail yourself of one of the many guided cycle tours through parts of Europe. A bike, gear, and food and lodging are often included in the price. Days are spent blissfully riding through the countryside while your gear is moved by van to the next hotel. Or, take one of the cycle-river combo tours where you spend nights on a boat floating down the river and days cycling on the beautiful bike paths. 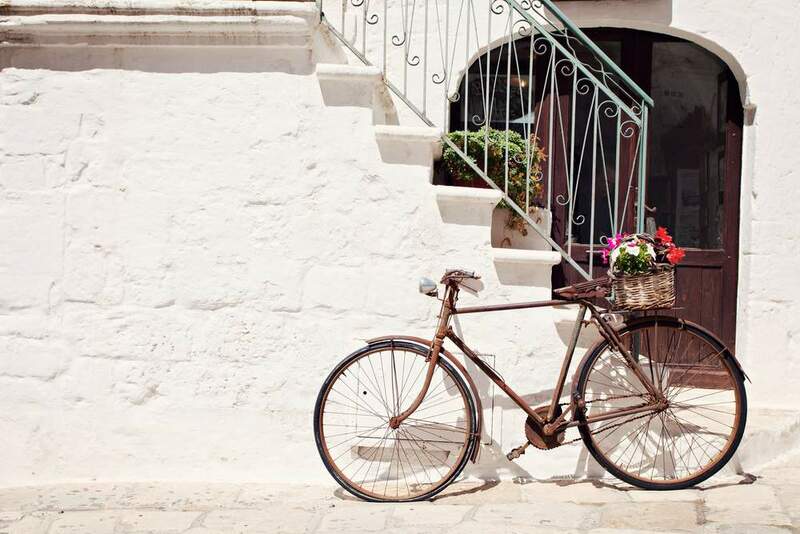 No matter how you do it, you’ll love cycling in Europe. If you have a week, take a tour! If you have a month or a year, take your time. Stop often. Eat crusty bread, drink local wine, and make memories to last a lifetime. 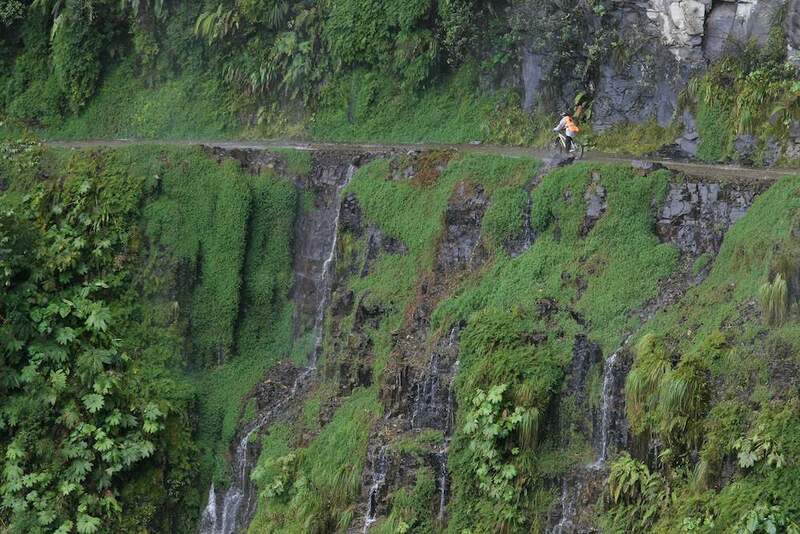 Have you ever cycled around a foreign country? Tell us about it in the comments below. Photo Credits: Shutterstock.com, leoks /Shutterstock.com, Radiokafka /Shutterstock.com, S.Borisov /Shutterstock.com, Kalin Petrov /Shutterstock.com, Kite_rin.